Product #20573 | SKU JB01272 | 0.0 (no ratings yet) Thanks for your rating! Like the original, this Joby GPod Mini Magnetic is an ultra-versatile mini-tripod that can be used with lightweight compact cameras. Its three multi-segmented flexible legs can be formed to grip almost any protrusion, be it a branch, doorknob, rock, or uneven surface. Each of the joints can bend and rotate 360° to wrap around objects. 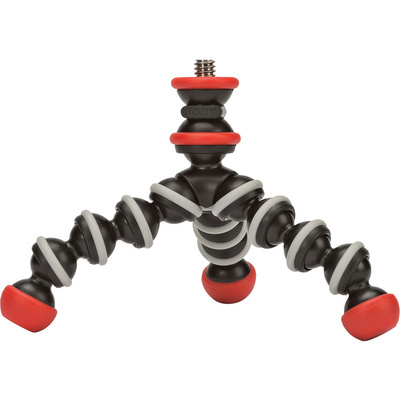 The bottom rubber segment on the legs are larger to allow it to be used as a traditional tripod.